Big Foot and Small Foot bondable pads conform to the natural buccal surface of first molars. A mesiodistal contour and an occlusogingival contour assure maximum adaptation to the molar’s buccal bonding surface to maximize bond strength. Ultra tight fit. Ultra strong bond. Ultra patient comfort. Our molar tubes feature an intelligent design for more accurate placement, closer fit, and stronger bond. They position easily and accurately, conform to buccal groove, and improve patient comfort. With a complete line of options to choose from, we have one to fit each of your treatment needs. 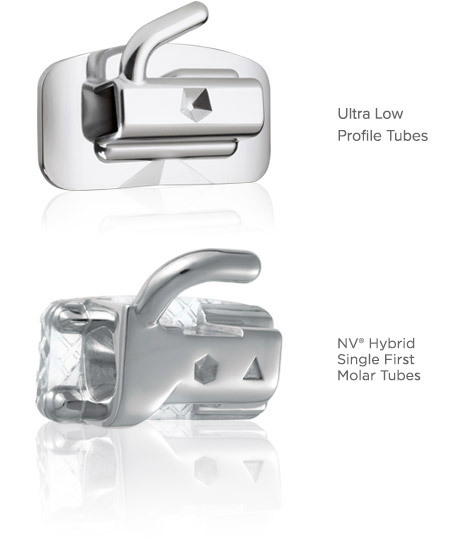 Our ultra low profile molar tubes minimize the potential for debonding due to occlusal forces while improving patient comfort. The small foot bondable pad conforms to the natural buccal surface of first molars. The hybrid first molar tube is the only bondable tube that features a translucent polymer mesh base. 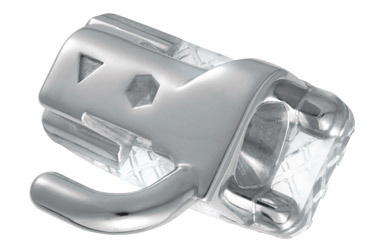 This innovative anchorage appliance offers a stronger bond than traditional bondable molar tubes, increasing stability and reliability throughout the course of treatment.